Every state in the U.S. has laws which forbid discrimination based on gender. Additionally, the U.S. Constitution assures all citizens due process and equal protection of the law. However, such abstractions are often ignored in the rough and tumble world of family courtrooms across America. We at Dads Divorce® and Cordell & Cordell, acknowledge the need for political activism and reform, and support the organizations behind these efforts. 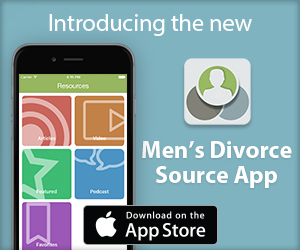 However, our focus is on helping men and fathers already involved in the trenches of family court through our divorce resources. This site is a pragmatic and reliable information source and instruction manual for divorced and divorcing dads facing domestic litigation. This includes fathers going through child custody, child support and alimony (or maintenance). We are focusing on Dads Rights, specifically the right to a fair trial and access in their child’s lives, while remaining financially viable. The information on this website provides useful guidance and insight into the divorce process, which will enable you to better assist an attorney in building your case. 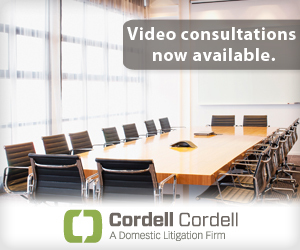 Our goal is to teach you ways to ensure that the courts award you the most time and the most influence possible in the aftermath of a divorce.This goal is achieved by the Cordell & Cordell law firm’s experience in the strenuous divorce process.